Trampolining is not only fun, but surprisingly beneficial and can be a key factor for a healthy lifestyle. We offer a variety of Trampoline Classes here at HA for all ages and skill levels. 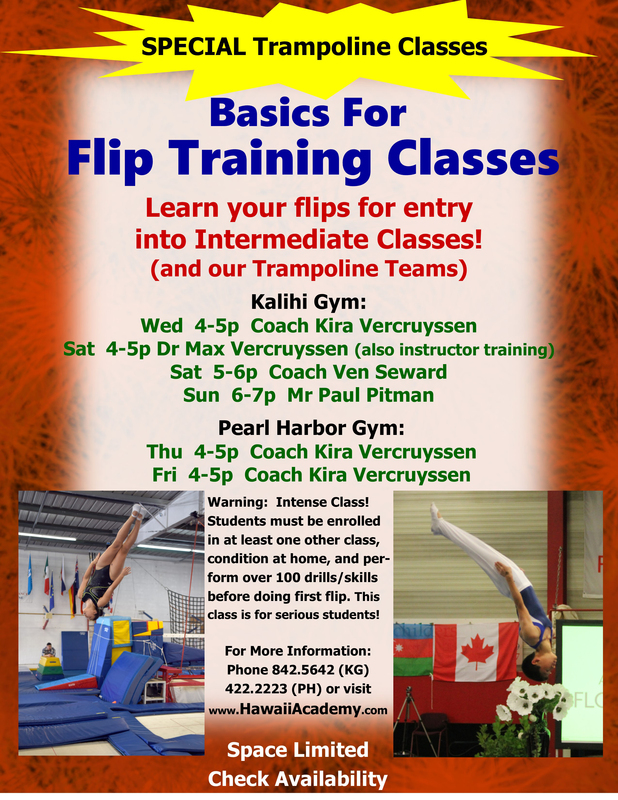 In the beginner class, students learn the basics of proper jumping and bouncing, drops and landings, and trampoline skills. They are taught proper techniques for jumps and drops (e.g., seat drop, back drop, front drop, and combinations with twists). Safety, safe falling and fun are focal points of our beginner classes. Almost all beginner classes are one hour in length. Students progress towards front flips, back flips, front handsprings, back handsprings and more advanced body skills on trampoline. Students are also introduced to the whip-type and layout-type somersaults on the trampoline and other rebound surfaces. The double mini, tumble track and rod floor becomes more integrated in classes as they are mostly two hour practices. Students learn more advanced trampoline skills, including porpoises, and twisting front and back somersaults. Many students at this level join our competitive Trampoline and Tumbling Team. Multiple twisting and somersaulting skills are developed at this level using a variety of assistance technologies (e.g., overhead spotting rigs and bungies). Learn more about our teams. Our Outreach Program takes equipment and instruction to local schools.